The Venice Commission, the highest body in Europe on constitutional matters, hopes Malta will collaborate in future reform. Victor Paul Borg interviewed a member of the delegation who visited recently and prepared a report whose findings call into question the country’s democratic credentials. The Council of Europe’s Venice Commission, a body of world-respected constitutional experts, took into consideration the “mentality” of the authorities in making its stinging assessment of the state of the rule of law in Malta. “Checklists are only useful to a certain degree,” said Martin Kuijer, a leading member of the delegation that prepared the commission’s ‘opinion’. The Commission, he said, took a more holistic approach to the issue. “Equally important is the general mentality, whether something works in a particular country and the willingness of the country to make things work. This overarching approach comes through in the 27-page report adopted on Friday morning in the plenary session at the commission’s premises in Venice. At the session, Justice Minister Owen Bonnici formally represented the Maltese government. The Venice Commission is considered to be Europe’s highest body on such matters. “Preparing this opinion was a daunting task because of the very broad scope of the request,” said Prof. Kuijer, a Dutch human rights expert and senior advisor to the Dutch government who co-authored the report. However, this newspaper has seen the few changes made to the draft report at the plenary, the most significant of which is the government taking exception to the recommendation that the judiciary should be appointed in full independence of the government. “Dr Bonnici said that he wanted to underline that he accepts this opinion for future constitutional reform, and there was no disagreement about the content of recommendations,” Prof. Kuijer said. The Commission has recommended strategic shuffles to Malta’s Constitution intended to buttress the system of checks and balances, which are currently missing from Malta’s shaky democratic construct. One idea is to vest effective powers in the President of the Republic as a countervailing factor in the governance of the country – the recommendation is for the President to be given popular legitimacy through being elected by qualified majority. Another is to make the judiciary truly independent of the government, as well as to foster a Parliament that would act in its own dynamic untethered from the executive’s dominance and diktat. The Commission also talks of the “incompatibilities” in having MPs occupy a revolving door of roles and appointments, attached to the body of the executive as mere tendrils of the system. “If one looks at the constitutional arrangement the position of prime minister is extremely powerful and that would not be inherently problematic if checks and balances were sufficient,” Prof. Kuijer explained. “But other elements – the Parliament, the press, the institutions – all of those are too weak in comparison to the strong position of the prime minister to act as effective counterbalances. The report laments the ‘weaknesses’ of the independent media, civil society, as well as the excessive ‘position of trust’ engagements within the government (see below). Prof. Kuijer elaborated: “The second most important finding is in the judicial apparatus, and the main theme is how to strengthen the judiciary. It’s a small judiciary, and our focus was on the system of judicial appointments to make the judiciary more independent. In the meetings in Malta – Prof. Kuijer was one of the chief rapporteurs – the delegation found support for the setting up of a prosecutor independent of the AG and the police, thus separating the AG’s dual roles. Prof. Kuijer also talks of “all interlocutors [in meetings in Malta] saying that they acknowledge the need for constitutional reform”. This, he said, augured well for “the significant reform that we are calling for”. Formally known as the European Commission for Democracy through Law, the Venice Commission helps bring Council of Europe (CoE) Member States in line with European legal and institutional standards. Its position on Malta comes after a request made by the CoE’s Legal Affairs and Human Rights Committee and parliamentary assembly, and a separate one made by Dr Bonnici. The Commission undertakes its task methodically: appropriate members are selected to visit the country to meet ‘interlocutors’, and every rapporteur afterwards provides written comments which are synthesised into a draft report. This is then sent to the authorities for their response and vetting for factual accuracies before being discussed at subcommittee level. Finally, the report is presented at the plenary in which the official representative – in this case Dr Bonnici – is present on behalf of the country. 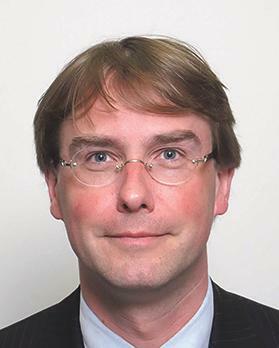 “Generally, the way this works is that after our opinion is published,” Prof. Kuijer explained, “we again look at what the country would have taken on board as we go along. The cynical might say that we have been here before, and it did not lead to anything. Upon Labour’s election in 2013, Dr Bonnici set up the Bonello Commission, named after Judge Emeritus Giovanni Bonello, to advise on “the holistic reform” of the justice system. Yet the government in the past five years has only adopted a smattering of the comprehensive array of recommendations that were made by the Bonello Commission, many of which have echoes in the recommendations of the Venice Commission. The ‘opinion’ of the Council of Europe’s experts is similarly non-binding. The clout and reach of the ‘opinion’ can be seen in the cases of Poland and Hungary, in which EU bodies cited opinions by the Venice Commission to justify the possibility or threat of those countries losing their voting rights under Article 7 of the treaty of the EU – suspension of voting rights would be a body blow to the moral authority and reputation of a country. Equally damaging to Malta would be if the country did not implement the recommendations on judicial appointments and independence, with the potential effect that that lapse might have on rulings by the European Court of Human Rights (ECHR). 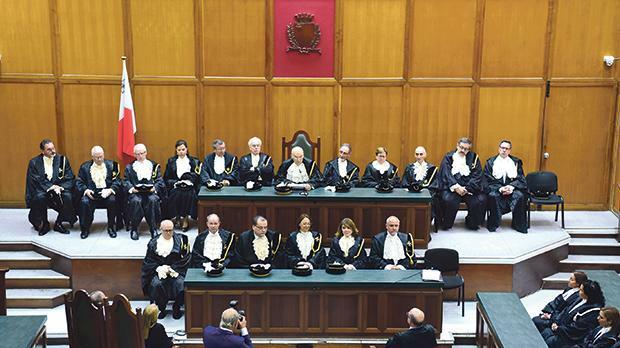 A scenario could arise in certain Article 6 proceedings – the right to a fair trial – in which a lawyer could gain traction with the argument that, as implied in the ‘opinion’ of the Venice Commission, Malta’s judiciary is not sufficiently independent because of the way appointments to the bench are made and other faulty practices. Although this point wouldn’t be defining in itself, it could be a compelling corroborating factor because the ECHR has indeed cited ‘opinions’ of the Venice Commission in dozens of cases. Do we have a functioning democracy? ▪ The mechanism of judicial appointments does not ensure judicial independence and is not consistent with European standards. The judicial appointments committee and judicial system both fall short of European standards. ▪ The multiple roles of the Attorney General are problematic, his chairing the Financial Intelligence Analysis Unit (FIAU) is inappropriate, and his double functions as prosecutor and government advisor are incompatible with modern notions of rule of law – hence a separate director of public prosecutions is proposed. ▪ The AG’s unchallengeable nulle prosequi (unwillingness to pursue or prosecute cases), which lacks judicial review, is faulty from the perspective of rule of law. ▪ The Permanent Commission Against Corruption is structurally flawed and unsalvageable, and ought to be overhauled or disbanded. ▪ The Constitutional Court’s inability to annul laws – repeal is in the hands of Parliament – is not consistent with “essential requirement of the rule of law”. ▪ The high number of specialised tribunals with weak judicial independence safeguards may give rise to serious problems from a constitutional perspective. ▪ The blurred demarcation between the legislature (Parliament) and the executive (government) betrays the essentialness of separation of powers in this realm. This is exacerbated by a lack of rules governing conflict of interest of MPs, and the extensive use of delegated legislation. ▪ The Ombudsman is weakened by the government itself because requests for information are frequently ignored. The Ombudsman Act ought to be constitutionally entrenched, and the Freedom of Information Act needs updating. ▪ The concentration of powers in the hands of the prime minister and insufficient powers vested in the president to be a countervailing force, and other factors, demonstrate the inadequacy of separation of powers essential to a democracy. ▪ The media and civil society are not living up to the crucial roles needed of them for the proper functioning of a democratic society. ▪ The recently enacted Act on Public Standards does not provide a legal, let alone a constitutional basis, for the appointment of persons of trust – the mechanism is sometimes used to bypass the meritocracy principle. Strict limits on persons of trust ought to be defined in law. The appointment of permanent secretaries is also problematic. ▪ The post of police commissioner is not subject to a public call for applications, and the government is not bound by an independent evaluating committee’s selection. In what is probably the first case of its kind, the double role of the Attorney General (AG) as an advisor to the government and prosecutor has been questioned in a case filed in the Constitutional Court last Friday. The case filed on Friday has nothing to do with the Venice Commission or its ‘opinion’ on Malta issued on the same day – the timing appears to be purely coincidental. The lawyers spearheading the case – Franco Debono, Amadeus Cachia and Marion Camilleri – have invoked various articles in the Attorney General Ordinance to make a point that their client cannot receive a fair trial. Quoting the law, the lawyers argue that the AG’s role as “the chief legal advisor to the government” and “judicial” representative of the government is incongruous with his function as chief prosecutor in which he is to “to act or exercise any power in his individual judgement [when] he shall not be subject to the direction or control of any other person or authority”. A lawyer who spoke on condition of anonymity said the case of the plaintiff may be strengthened by the involvement of the AG in the case at two overlapping levels. To start with, this case, like many others filed in the Constitutional Court, is against the AG on behalf of the State, while the AG is doubly invoked as a defendant in this case in his role as a prosecutor – a mesh of roles that may stupefy the proceedings. The lawyers are also contesting other aspects of the legality of the prosecution’s case in the 11-page constitutional suit. One of those is the design of the controlled delivery of drugs to the plaintiff as empowered by article 101 of the Dangerous Drugs Ordinance. Another is the fact that the plaintiff did not have access to his lawyer in person when giving a statement to the police, something that has already been successfully tested in the Constitutional Court by Dr Debono in the case of Chris Bartolo and Claire Farrugia.